One of Callum’s many stunning photos. For more, check out his website or Instagram. 1. Could you share a little bit about yourself and how you got started in photography? 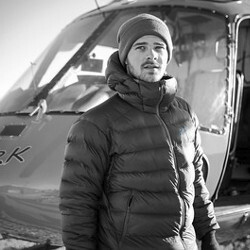 My name is Callum Snape, I’m 23 and I’m a full time Adventure, Travel and Landscape Photographer based out of Banff National Park, Alberta, Canada. I independently immigrated to Canada from England at the age of 18 and bought a camera to document the experience. My first Summer in Banff I discovered a passion for hiking and back-country camping, after a few trips I started to take my camera to share the incredible views with my friends and family on social media. Over time my technique got better and better and it slowly transitioned into a full time job within 3 years. 2. When did you first start sharing photos on Instagram, and how has your community grown since then? I was very hesitant to join Instagram in the beginning because of a lot of the ‘rights’ attention it was getting with stolen photos and usage licenses, etc. In February 2014 I introduced it into my workflow on a daily basis. The first few months were very slow and this was because I didn’t quite understand the community aspect of the platform. As soon as I started meeting up with other users I noticed people shared the same passion for the outdoors. 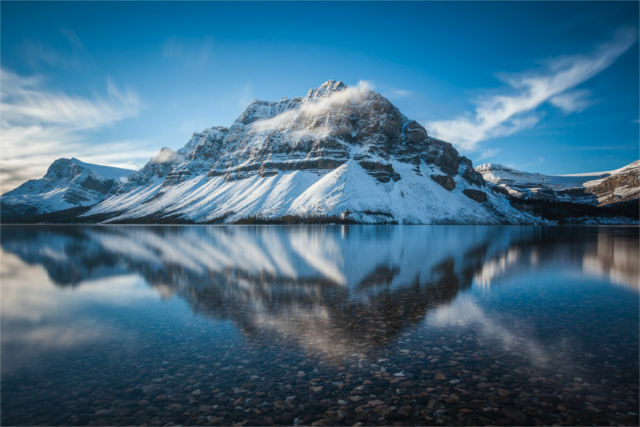 Alberta has a very strong outdoor community and small groups of adventures started to form, meeting up on a weekly basis to hike, climb, ski, kayak and just generally have fun while documenting it along the way. I met my 5 closest friends through Instagram and have since become business partners with one of them. I also created the #WildMe hashtag for people to share their adventures with me. In just 9 months this grew from 5 hashtag uses to over 30,000. 3. With a myriad of different options for a photographer to market himself these days, which marketing channel seems to be the main source of your revenue? In terms of social media, Instagram is my main source of revenue. Art directors, brands and potential clients used to find me primarily through 500px and Facebook, now its Instagram. The issue with 500px is that you’re directly marketing to other photographers, which isn’t my audience, so this works well for photographers using workshops as their main source of income. Facebook has become too limited to pursue properly with its paid reach system. Instagram is a well rounded platform to directly reach the public, art directors, clients and and many forms of potential work. 4. If you had to choose just one thing that made the biggest impact on you as a photographer, what would it be? Instagram has had the biggest impact on me. I was getting sucked into the egocentric world of fine art photography where “professional” photographers would pat themselves and each other on their backs on a regular basis. Instagram took me away from this side of the industry and introduced me to some incredible people and clients who have taught me to be humble about the work I do, to help and be helped by people who genuinely want to see you succeed. 5. What advice would you give to someone looking to make a career out of photography? photography and not to branch out to multiple ones. Generally good portrait photographers are rarely good landscape photographers and vice versa, this applies to all genres. After selecting your focus in photography, hone your technique and skills. Reach out to a local client base, make them aware of you. After time your work will branch out to a regional market and eventually on a national or even global level. 6. How do you find the time to manage business inquiries and edit photos while on the road? That’s a good question and one I’m still trying to find an easier solution too. I have to leave emails for up to 7 days sometimes and then (like I’m doing right now) when I get a couple of free hours I’ll go through them all or let clients know that I will get back to them as soon as I get chance to sit down and review everything. Wifi and 3G are non-existent in the back country around here, as much as I look forward to my next project and working with new clients, I also appreciate disconnecting from it all and focusing on enjoying my time out in the wild. Social media is the biggest asset to yourself as well as clients at the moment, however, it shouldn’t be relied upon as a sole source of income for a photographer. No one should use just one platform either. Photographers source their income from multiple sources including but not limited to: Licensing, Assignments, Workshops, Writing, etc. Good business manners will also take you a lot further.